How can you find out if you’re related to someone? Family history typically gets muddled as many people marry, divorce, and pass away over time, leaving vital information either hidden or, perhaps, non-existent. Yet there are ways to research who your relatives truly are. Thanks to the Internet, there are many online websites devoted to tracing your family history based on the family name. Meanwhile, you can literally ask around and see what other relatives remember about people who’ve since passed away. 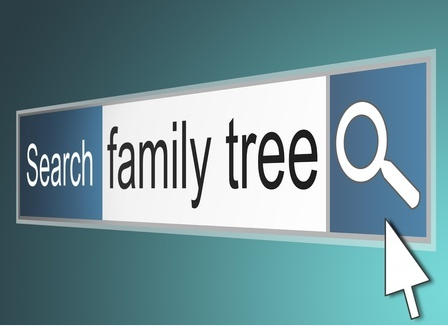 Genealogists study family trees in order to figure out kinship among people. They collect family documents and stories– especially written or printed papers from the past detailing people, places and events. Oftentimes local libraries have helpful historical records you can use to read about possible relatives and put puzzle pieces together to get a clearer understanding of family relations. These days, a person’s DNA can be analyzed in order to find out if they’re related to another person in question. Genealogy software can be used to look for information about births, marriages and deaths. Certain religions, such as the Latter Day Saints, keep excellent family history records. Speaking of records, there are several to look at when trying to decide if you’re related to someone. Besides vital records about birth, marriage, divorce and death, try searching adoption records, census records, and biographies, such as “Who’s Who.” Religious records may keep track of people who were baptized, confirmed, bar or bat mitzvahed and/or simply a member of a particular church. This information can be helpful in establishing connections between people. There are a lot more records to search than just the aforementioned ones. Land and property records, deeds, emigration/immigration/naturalization records, coroner’s reports and civil/criminal records can be consulted. Don’t forget personal letters, diaries and family Bibles. Looking through old newspapers and obituaries can help, too. Other things to look for include medical and military records, as well as passports, old photographs, school yearbooks, ship passenger lists, and voter registration records. Finally, tombstones, cemetery records and funeral home records may provide pieces of information to help you decide if you’re related to someone in question. Most people have neither the time nor the expertise to research their family history. Specialty Private Investigators can, however, do the necessary legwork to help you uncover the truth. To employ SPI’s investigative services, please call 412-650-8550.